SHOW US THE MONEY…. not just the loyalty. Hyatt’s middle finger to loyal leisure travellers. The “World of Hyatt” with a spanking brand new logo is to be officially launched on the 1st of November 2016, with it taking effect from the 1st March 2017. The old Hyatt Gold Passport program is to be overhauled to reflect a member’s expenditure and willingness to experience different brands under the Hyatt umbrella, rather than the staid “stays” reward and benefit system. The Hyatt Hotels Corporation is a leading global hospitality company with 12 premier brands and 667 properties in 54 countries as at June 2016. Under its umbrella are Park Hyatt, Grand Hyatt, Hyatt Regency, Hyatt, Andaz, Hyatt Centric, The Unbound Collection by Hyatt, Hyatt Place, Hyatt House, Hyatt Ziva, Hyatt Zilara and Hyatt Residence Club. You are totally covered on 6 continents, so there are plenty of places to earn those valuable points. In light of the merger of Starwood and Marriott forming the world’s largest hotel chain, the CEO of Hyatt – Mark Hoplamazian – commented in an interview with Skift in April of this year that the Hyatt is not merger-hungry and that the company was happy being a “big boutique” hotel group. 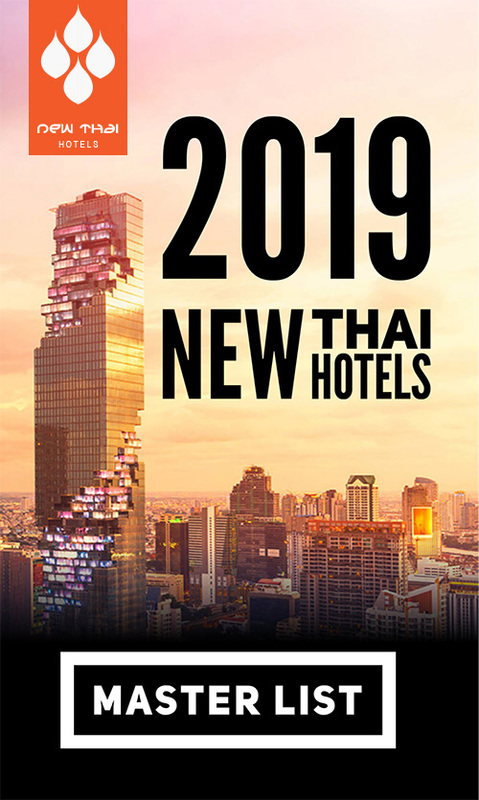 He also said that a points based system is “an organized discounting system”, which the Hyatt would keep but that the evolution of loyalty programs will come in the form of developing emotional-based relationships with customers and travel planners. He stated that the company wishes to focus more on creating experiences for people, so that they can experience the Hyatt brand in more diverse ways. The company was in the process of rewriting their loyalty program at that point. Given the changes to be announced under the new loyalty program, you can understand where they are coming from with the changes in light of what the CEO was alluding to in that interview – of course it is minus any rhetoric regarding the chase of the Armani clad crowd with deep pockets overflowing with cash who will be champing at the bit to become first in the line with Globalist status. As with airline loyalty programs, Hyatt is attempting to bridge the gap by switching to a revenue-based system (yes the more you spend under the brand’s umbrella the better it will be for you) rather than earning points or status solely based on stays. This will be a windfall for those with expense accounts who travel for work and will basically expense their way to the top-tier “Globalist” where the glorious perks await. On the other hand, Platinum and Diamond members who qualified based on stays (like me 🙁 ), will be the losers. No hotels will be changing categories and the free night redemption levels will remain the same. The current Hyatt Gold Passport program has only 3 levels (Member, Platinum and Diamond) with a huge difference between the bottom 2 levels and the top level of Diamond status that is earned after 25 stays or 50 nights. The new program will have 4 levels: Member, Discoverist, Explorist and Globalist. Instead of qualifying by nights or stays, it will be nights or points earned by dollars spent (5 points per dollar plus a bonus for elites) with the stay qualification discarded in favour of points awarded. 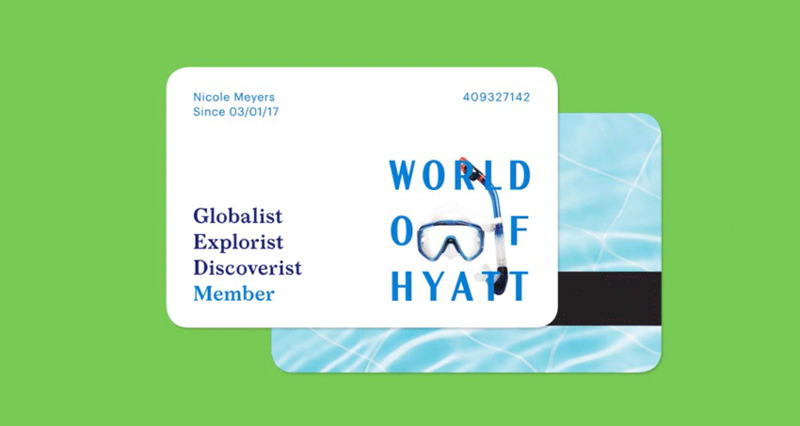 To be given the golden handshake of Globalist status, you will need to stay a minimum of 60 nights or earn 100,000 points (= $20,000 expenditure under the Hyatt brand). Current top tier Diamond members will have to requalify with 60 nights or 100,000 points with a reduced earning of 55,000 ($11,000) to requalify in 2018. Diamond Suite upgrades will be increasing in quantity with Globalist members getting complimentary upgrades to suites based on availability, plus 4 confirmed suite upgrades and the ability to earn a new upgrade to be added to their tally after every 10 nights stay beyond the required 60 nights (a cap has been put at 4) so that the maximum is 10 suite upgrades – not too shabby for the wealthy globe trotter to have tucked away in his holiday or business bag of travel goodies. There are other perks to be had in the fine print, but the one thing of unknown quantity is how the perks will be dealt with for existing Diamond members who are re-qualifying. A reward for trying different brands within the Hyatt portfolio by giving a free night at a Category 1-4 property after trying 5 different brands – this is tapping into the lifestyle branding and rewarding those with an adventurous soul. Explorist and Globalist members will be the lucky recipients of a free night at a Category 1-4 property after 30/60 eligible nights – but this must be used within 120 days of being earned – so you either travel a lot for business or pleasure, or you don’t like being at home. Again for the Globalist, complimentary unlimited suite upgrades on stays in addition to 4 confirmed suite upgrades – luxury plus. So where does that leave you as a current member with status as of 1st March 2017? Bamboozled? Crying in your soup? If you qualified for any Hyatt Gold Passport status in 2016 and would have requalified, your status will be upgraded – if you met the nights but not the points requirement, you will still obtain the status. The Globalist of course is the winner in the loyalty stakes, as they will be treated like kings with Hyatt perks that will make any little leprechaun turn a darker shade of green with envy. The downside between Diamond and Globalist: No welcome amenity! 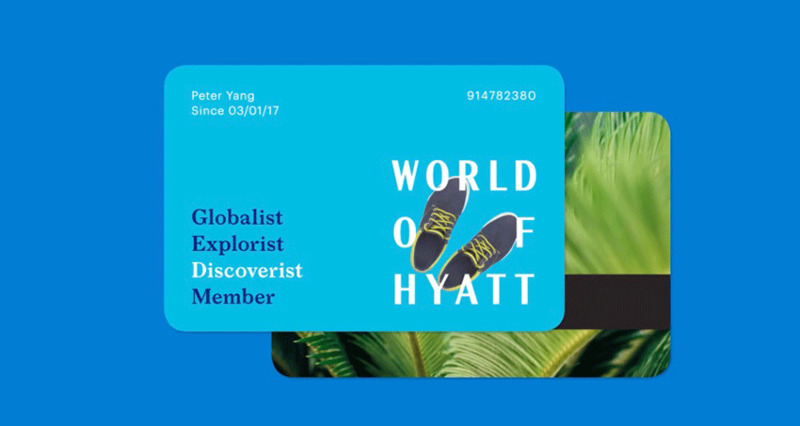 No specifics have been leaked as yet, but as a Hyatt credit card holder you will automatically get Discoverist status and benefits. If you become a cardholder prior to 1st March 2017 you will also get an additional 5% bonus points on eligible spend when earning base points at Hyatt or M Life properties through to the 28th February 2018. If you spend up big and earn Explorist or Globalist status, the bonus will jump to 20% and 30% respectively. If you manage to blow through $50,000 per year on your card (spent on anything and anywhere), you will get Explorist status the following calendar year. The existing program remains in effect until 28 February 2017 when it will transition to World of Hyatt. Up until then members can continue on as normal earning and redeeming as usual. 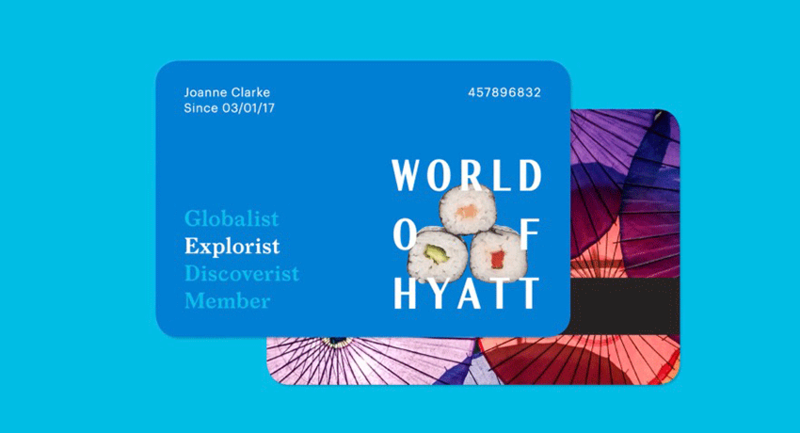 Qualifying activity beginning 1 January 2017 will also count toward earning status in World of Hyatt when the program launches in March 2017. If you are a member, expect a letter in the mail. This entry was posted on Monday, October 31st, 2016 at 9:00 am and is filed under News. You can follow any responses to this entry through the RSS 2.0 feed. You can leave a response, or trackback from your own site.